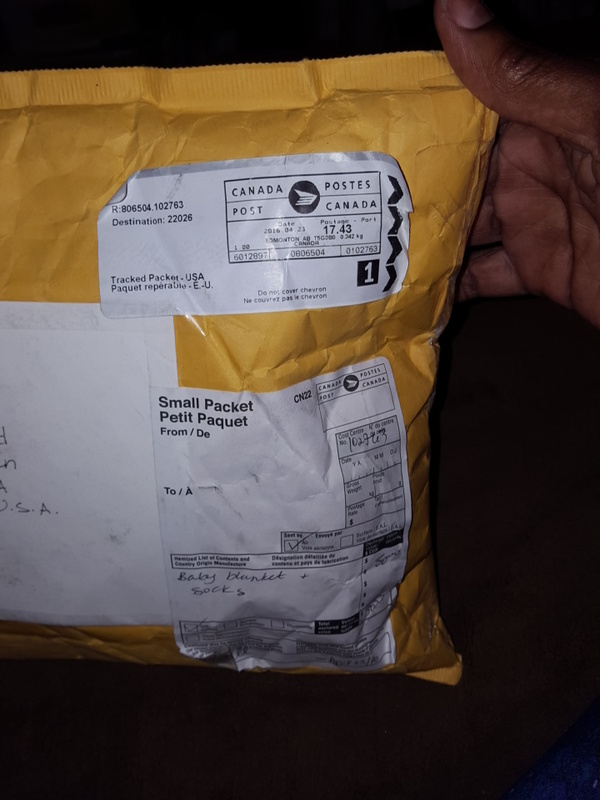 Today, baby girl and I got a surprise package from my dear sister girl and fellow blogsister all the way from Canada !! Everyone knows that I decided to do African Animals as the theme in the baby’s room and I wanted the colors to be gray and white with Tangerine being the pop of color. In fact, I will be doing those colors throughout the entire West Coast home. 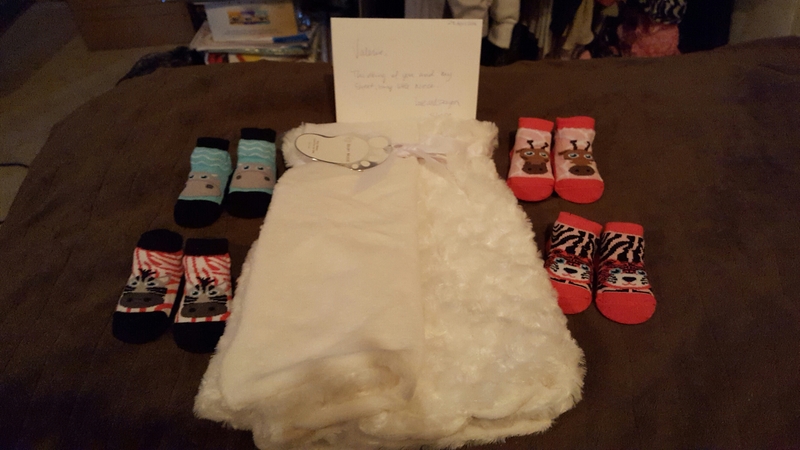 I was brought to tears when I opened the package to see a gorgeous white baby blanket, that little Miss will come home in, and these adorable baby booties with African animals on them !! I can’t wait to put those on her little feet. I can’t tell you how great it feels to be carrying this little blessing and how amazing it feels to feel the love of those around me. This little girl and I are so blessed !! 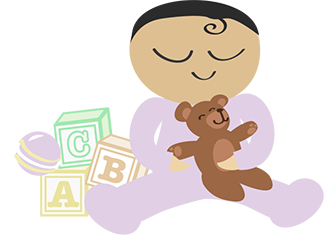 This entry was posted in Baby Stuff, Infertility, IVF, Single Mother By Choice and tagged Baby Gifts. Bookmark the permalink. You two truly are blessed. That much is certain.